From beach wedding permits to visitor guide requests, here’s our list of most frequently asked questions and answers about hosting a wedding or reunion in Carolina Beach. 1. 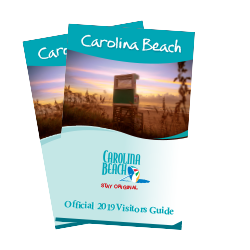 Does the CVB provide Visitors Guides and Guide Maps? The services manager provides copies of the Visitors Guide and Guide Map to the bride and her guests at no charge. The services manager can also provide you with a Wedding and Reunions Resources list to assist in planning your special day or event. 2. Can I get married on Carolina Beach? Carolina Beach does not require permits for beach weddings; however, tents and chairs are not permitted. For more information, call the Town of Carolina Beach Event Coordinator at 910-458-8218. 3. What requirements do I need to meet to get married in North Carolina? You do not have to be a resident of North Carolina to be married here, but you do need a license. You can get one from the Register of Deeds office in any county in North Carolina. There is no waiting period, blood test or physical exam and once issued the license is valid for 60 days. In New Hanover County and Carolina Beach, you can apply for a marriage license at the Register of Deeds office at 320 Chestnut Street, Suite 120 in downtown Wilmington or the satellite office at 230 Government Center, Suite 185. Hours of operation are 8am – 5pm. 910-798-4530. Fee for a license is currently $60.